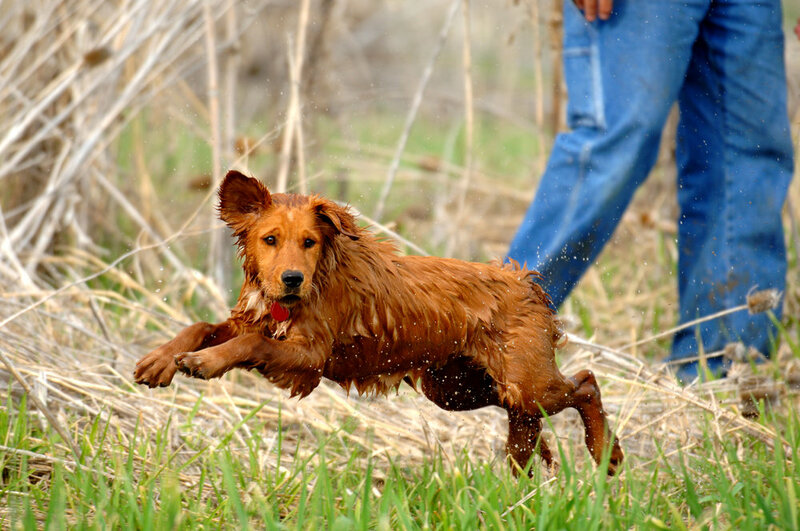 Are you looking for help training your retriever? Our one-on-one training program is designed for those that would prefer to train their dog by themselves, but need some guidance. Sessions are one hour long and held once a week at Otter Tail Kennels. Rates are determined by the length of program. Rates do not include birds. Birds will be billed extra. One free 30 minute evaluation to determine what the dog already knows and where training needs to begin. One hour long session each week. Training designed for and around your dog. Sessions may include problem solving, field set-ups for marking, quartering and/or water work. We will provide the training aids needed for the sessions, but you will need your own training aids for completing the assigned home work. What tools do I need to do the training? You will meet with Steve to review the previous weeks training. Expect to discuss in detail what you worked on, how it went, what problems or issues you experienced. Steve will also answer any questions you have, and he will review your goals for your dog. You will then head out to the field to have a short review of the previous weeks training to verify that the dog and owner are on track. Then you will start working on new training concepts. The session will end with question/answer period where you will be able to clarify any questions you have and Steve will provide the homework for the next week. Email or call Steve anytime to set up an initial consultation. You can find our contact information here.